Here's a sneak peek of another little project of mine. I felt like my previous hummingbird needed a friend so I made another one last night. 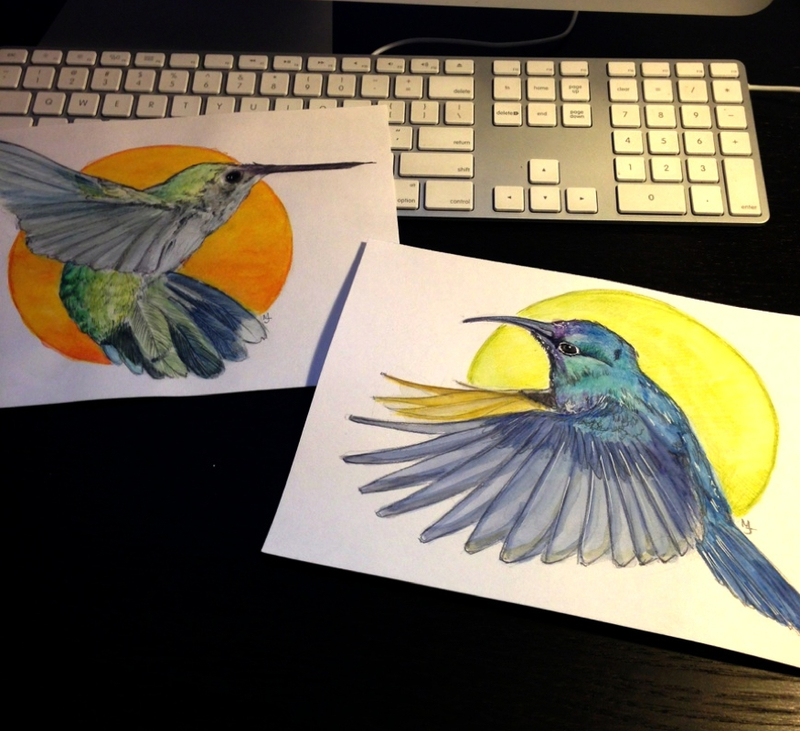 I'm planning to have these two hummingbirds showcased at a local restaurant soon and perhaps make a couple prints as well. I really like how they turned out.